Once snow reaches the ground accumulation may occur. Accumulation occurs when snow maintains its crystal structure while bonding to the surface. This means the surface temperature and structure is physically capable of making a bond, without the ice crystal structure transforming into the liquid phase. Once accumulation begins ice crystals will bond with one another to form layers of snow. Layers change throughout a season and possess different properties than previous and future layers. Layers can transform through temperature variations. Accumulated snow can repeatedly thaw, freeze, and sublimate. Accumulation interacts with its surrounding environment and continues to change as conditions change. Alterations in the properties of snow at different layers can produce different interactions. Snow remains on a slope, such as a mountainside, because of static friction. The other forces acting on the snow are gravity and a normal force, which is perpendicular to the surface. The static friction is determined by the bonds the snow makes with the varying layers and the surface. The more non-uniform and jagged the snow particles the more friction the snow will possess. The easier it is for the snow to slide on itself and the surface, such as with spheres, the lower the static friction force. When the gravitational force in the direction down the slope is equal to or greater than the static friction force of the snow, a slide, or avalanche, will occur. The complexity of friction and length of this topic is too much for the scope of this examination, however a few key aspects will be discussed. Texture – “the distribution of shape and size of the grains, pores, and water menisces present in the medium”10 is a very important property. Texture has significance in how jagged or rounded the snow particles are. The bonds created are important in the mechanical and thermal properties of snow. The strength of these bonds can determine whether or not an avalanche will occur. 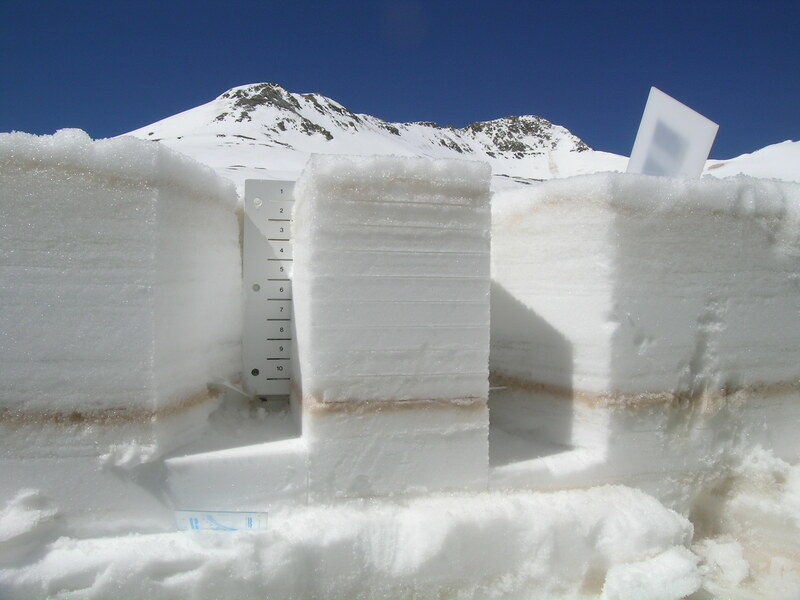 Snow can be classified based on its texture and porous properties. The metamorphism of snow is the concept of snow changing from one form (patterns and phases) to another. 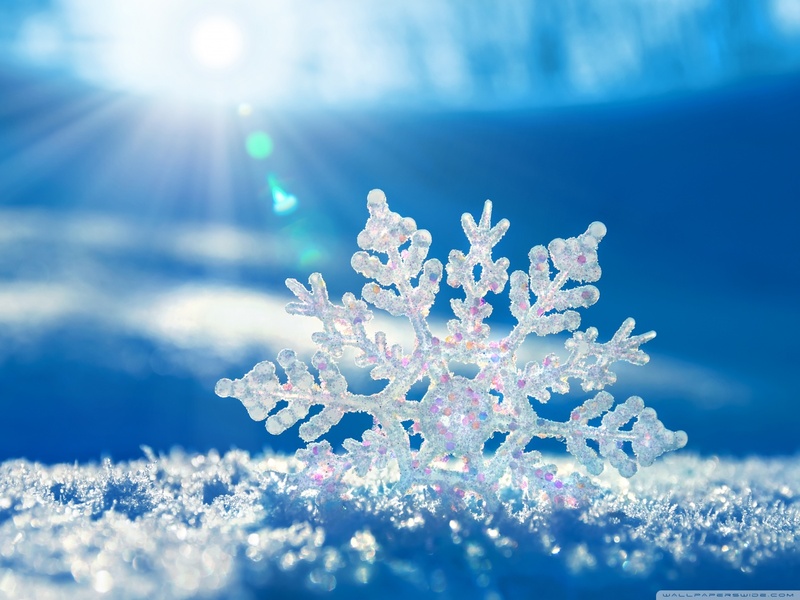 Snow is considered dry when the pores are filled with air and not liquid water. When impurities within the snow decrease, the state of the snow will remain solid as the temperature approaches 0˚C from lower temperatures. Even if impurities in the snow occur it can still be considered dry as long as it remains in a solid state. When impurities occur and liquid water is present, snow can go through wet metamorphism. This state involves the interchanging of all three states of water: solid, liquid and gas. When wet snow alters it shape the particles will become more spherical. The liquid water will fill microscopic gaps i n the dry jagged ice crystals. This will reduce the number of contact points for bonds to be made between the spherical snow and surfaces. Wet snow will therefore have reduced friction in comparison to dry snow, given that dry snow is not frozen in the spherical shape. Another property that should be considered is the compaction of snow. Snow compaction occurs through snow drift, metamorphism and deformation. Snow drift compacts snow by increasing density through wind processes. As snow is blown, collisions between snow particles reshape each other making them smaller and more rounded. A strong drift can increase density three times within about a day.11 Metamorphism begins as soon as snow makes contact with the ground or layers of snow. This occurs through temperature, shape, and pressure; the particles reshape and create new bonds to compact themselves. Deformation occurs more as the levels of snow increases. As the mass of snow increases the layers become more compact from gravity. Gravitational forces break bonds and move particles into new more stable positions to better support the increasing mass of snow on top of it. Snow not only accumulates on the ground and on slopes but on the canopies of forests, streets, homes and anything else it can create a bond between. The energy associated with snow is one of the most important concepts to civilization not only in snow climates but globally.